Many employees elect to live on campus in the Institute-owned and –operated apartments. Surrounded by nature, and just steps away from the lab and office buildings, these comprise over 100 residences, for both families and individuals. For short-term visitors, IST Austria also has a guesthouse located in the Central Building, where individuals, couples, or families can reside for brief periods. Enjoy the benefits of living directly and conveniently on campus. 4 junior suites that feature a separate living room and bedroom (35–40m²). All rooms are equipped with a wardrobe, small refrigerator, bed, desk, cupboard, bathroom, air condition/heating, satellite television and W-LAN. A fully equipped community kitchen and a laundry room with a washing machine and dryer is available for our guests. The Crazy Duck café and pub can be found in the central building, next to the guesthouse reception. For details and opening hours please click here. Parking is available on campus. Please visit our campus plan for detailed information. Within walking distance from the guesthouse you also find a supermarket, restaurants and the bus station for the IST Austria Shuttle Bus, as well as for the public bus lines taking you to Klosterneuburg, Vienna and Tulln. 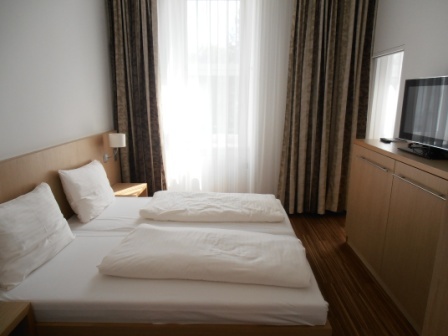 IST Austria has everything to make you comfortable during your stay. Living in an apartment on campus harmoniously combines the working on campus with living in the country side. You live near your working place and can enjoy the beautiful nature after work. 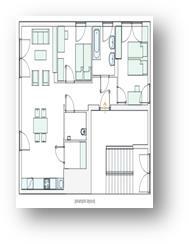 The smaller apartments of 33 m² have a combined living and sleeping room, a kitchen, and a bathroom with a toilet. Family apartments/shared flats of 65m² have a living room, master bedroom and second bedroom for children/housemates as well as a kitchen, bathroom and separate toilet. This category will either be let to families or couples, or sharing housemates. Every apartment comes fully furnished with a convertible bed/sofa (additional beds in the family apartments), cupboards, a table and chairs, and a wardrobe. Each has its own private, lockable storage room in the cellar with 5m². There is a washing machine and a tumble-dryer in the basement of all apartment blocks, it can be used by all residents. On campus you will also find a pub, kindergarten, a soccer field, a beach-volleyball field, two tennis courts and a bowling alley. In the immediate vicinity there are an elementary school, and several supermarkets. The IST Austria Shuttle Bus, and the public bus lines, takes you to Klosterneuburg, Vienna or Tulln. 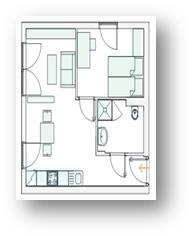 The fully furnished two-room apartments offer enough space for one or two people. In the living/dining area there is a pullout couch (40 m²) or a smaller couch (35m²), and a kitchen. All living rooms and bedrooms are equipped with high-quality laminate flooring. 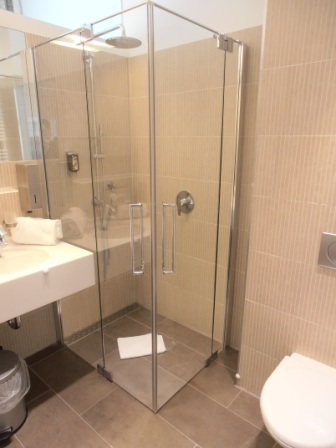 The bathroom/toilet is tiled and offers a walk-in shower. 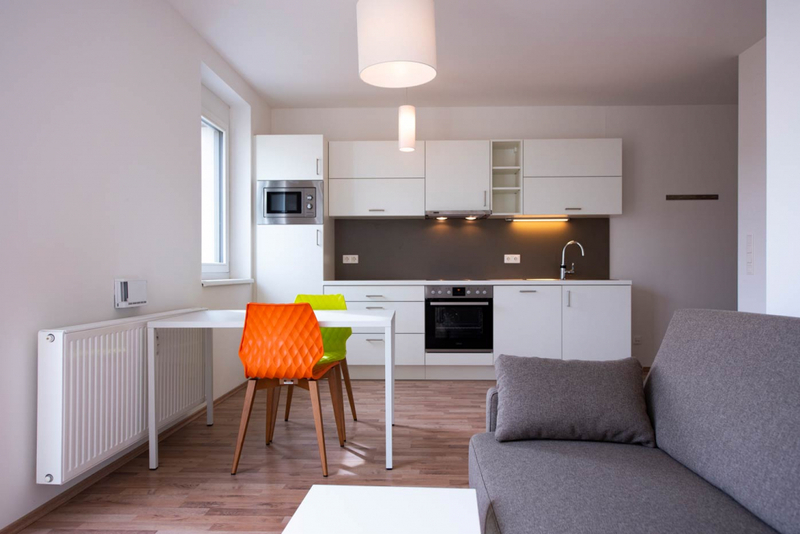 The fully furnished three-room apartments offer enough space for families or flat-sharing by of up to 4 people. In the living/dining area there is a pullout couch and a kitchen. All living rooms and bedrooms, as well as the storage room are equipped with high-quality laminate flooring. The apartments have a bathroom, equipped with a bathtub and a double sink, and a separate toilet. All Apartments are fully furnished with a kitchen, bed and sofa, cupboard, table, chairs, bathroom and wardrobe as well as a storage area (basement). 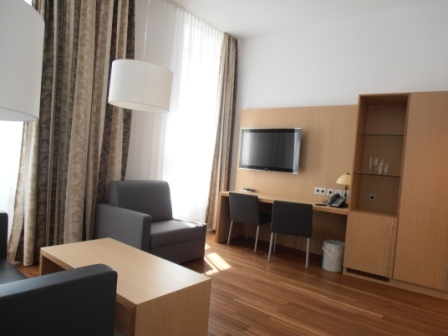 Due to legal reasons the apartments are not equipped with dishes, towels, bed linen, etc. There is a storage room for bicycles and strollers on the bottom floor of each building. Each apartment also has a separate storage room in the basement. A laundry room with a washing machine and a dryer is located in the basement of each building.